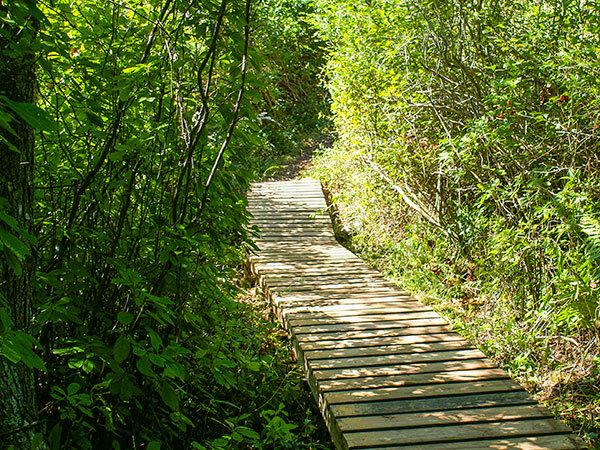 Located in Paradise Valley, this 325-acre wildlife refuge and education center is crossed by numerous pedestrian trails meandering among open fields, wetlands, and woodlands, the latter including red cedar, ash, oak, maple, beech, and hickory trees. 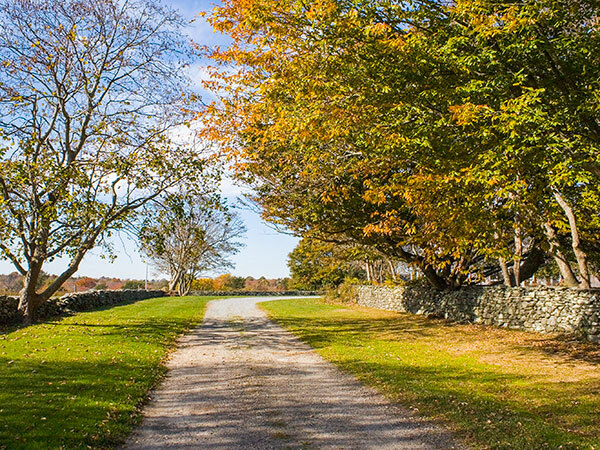 At the heart of the sanctuary is an historic coastal farm, with a farmhouse built (with later additions) circa 1750 on land used primarily for sheep grazing, and the production of mixed crops and salt marsh hay. 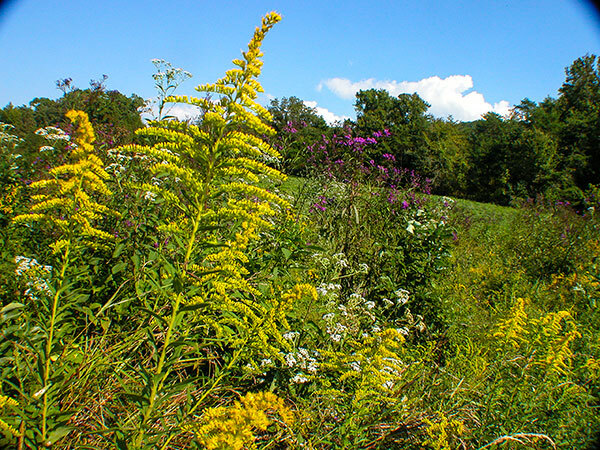 The farm passed among several owners, and beginning circa 1820 was operated by tenant farmers. 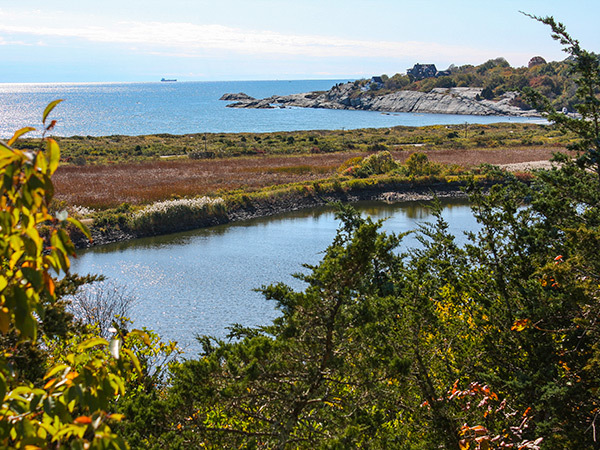 In the late nineteenth century, Newport businessman George Norman acquired the property to secure water rights for the Newport Water Works, and in 1949, Mabel Norman Cerio deeded much of the farmstead to the bird sanctuary, which later acquired and integrated an additional sixteen acres along Third Beach Road, including the farmhouse. 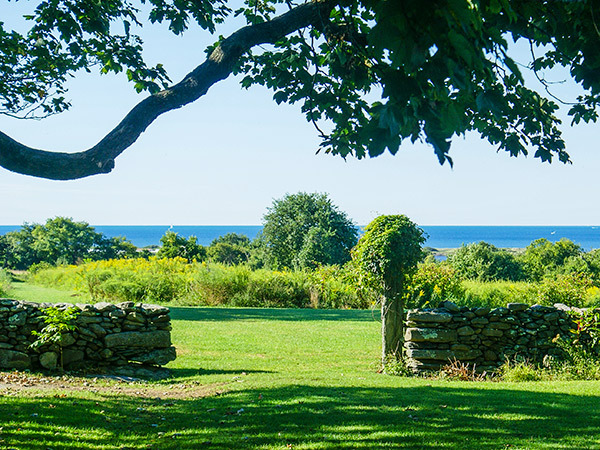 The sanctuary is still parsed by the fieldstone walls that outlined the original farmstead’s orchard, garden, and agricultural fields. 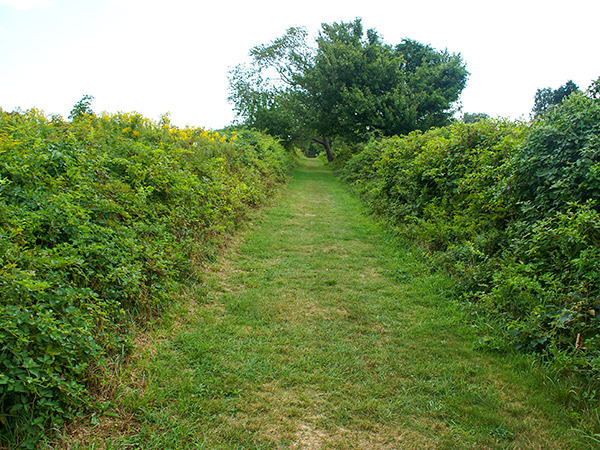 Remnants of the orchard are present abutting the north parking area, and a 1/3-acre garden survives between the road and the farmhouse. Originally a Colonial-era garden with vegetables and herbs, by the 1930s it had become an ornamental Colonial Revival garden, with cross-axial paths and planting beds organized around four evergreens. 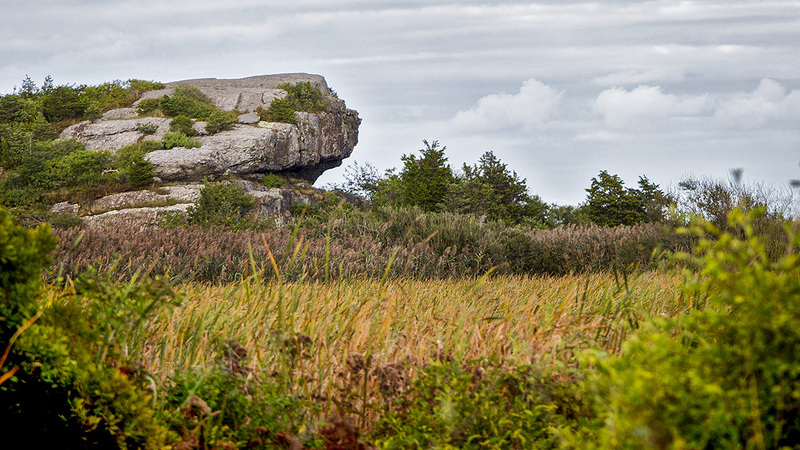 Elsewhere on the property are two burial plots, a stone-lined sheep pen, an abandoned quarry, and Hanging Rock, an outcropping often represented in paintings and photography. In 2008 the original farmstead, designated the Smith-Gardiner-Norman Farm Historic District, was listed on the National Register of Historic Places.